Today Max Brantley started whining about the children that will be hurt by all these impending budget cuts (Arkansas Times, Feb 28). I guess he always thinks the answer to everything is to throw more federal programs and money at it. Have you ever heard of the great flood of 1927. My grandfather moved to Memphis in 1927 and he told me about this flood. There was a lady named Memphis Minnie and she wrote about this flood. I always heard that there was lots of great blues music that had come out of Memphis, but I always thought that was overstated and that the Blues was not a significant form of music. One of my favorite Led Zeppelin songs was “When the Levee breaks.” It was based on a song by Memphis Minnie. When I think about the recent increase of federal Spending and federal Deficits under President Obama, it makes me think of this song. In 1927 the rains kept coming and coming and finally the levee broke. Now the federal spending keeps coming and the deficits continue to build up and I wonder when will our government go bankrupt? Memphis Minnie and Joe Mccoys original. President Obama admits that the Federal Government is out of money but that doesn’t stop him from still borrowing more and more to keep spending it. When will our government go bankrupt? When will the levee break? Evidently Drudge Report is running a headliner stating that Obama said “We are out of money” — There is no corresponding text to it other than this. If you think for one second that this isn’t gonna wreck havoc on every industry including advertising then you are living in an illusionary world. With the GOP-led House and the Democratic Senate and White House far apart on a measure to pay the federal government’s bills past March 4, Washington is rumbling toward a repeat of the 1995 government-shutdown fight (actually two shutdown fights, one in mid-November of that year and the other in mid-December). This makes some Republicans nervous. They think Bill Clinton “won” the blame game that year, and they’re afraid they will get the short end of the stick if there is a 1995-type impasse this year. A timid approach, though, is a recipe for failure. It means that President Obama and Senate Majority Leader Harry Reid can sit on their hands, make zero concessions, and wait for the GOP to surrender any time a deadline approaches. To put it simply, Republicans need to hold firm and fight hard. In other words, budget hawks in the House have no choice. They have to fight. But they can take comfort in the fact that this is not a suicide mission. The conventional wisdom about what happened in November of 1995 is very misleading. Republicans certainly did not suffer at the polls. They lost only nine House seats, a relatively trivial number after a net gain of 54 in 1994. They actually added to their majority in the Senate, picking up two seats in the 1996 cycle. More important, they succeeded in dramatically reducing the growth of federal spending. They did not get everything they wanted, to be sure, but government spending grew by just 2.9 percent during the first four years of GOP control, helping to turn a $164 billion deficit in 1995 into a $126 billion surplus in 1999. And they enacted a big tax cut in 1997. If that’s what happens when Republicans are defeated, I hope the GOP loses again this year. President Reagan with actress Victoria Principal during a photo opportunity with the Arthritis Poster Child of the Year in the Oval Office. 5/29/86. 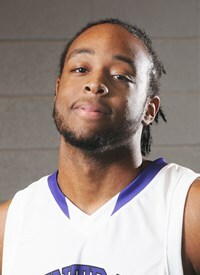 Yesterday I sat next to Terry Tidwell who plays basketball for UCA on a flight back from Dallas. I recognized immediately because he had played for Conway in his 10th and 11th grade year and for North Little Rock his senior year. All three years he was all conference and I personally saw him play against Bryant all three of those years (we lost all three games if I remember right). He told me that his junior year at Conway they lost by 2 in the championship game to Catholic. “If you seek peace, if you seek prosperity for the Soviet Union and Eastern Europe, if you seek liberalization: Come here, to this gate. Mr. Gorbachev, open this gate. 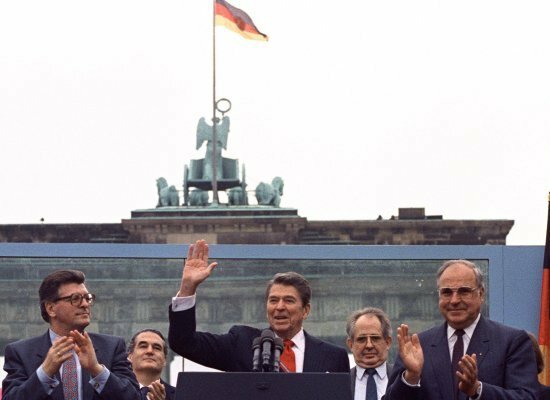 Mr. Gorbachev, tear down this wall.” Arguably one of Reagan’s best television moments, he urged Soviet leader Mikhail Gorbachev to stop the communist hold over East Berlin and allow the country to unify under a democracy. Two years later, it happened in the dark of night. Perhaps the most important focus of the Centennial year’s activities is reaching the next generation of young Americans and future leaders, all of whom are of college age and younger and have no personal recollection of Ronald Reagan as the president. One goal of the celebration planning has been to reach this next generation and invite and engage them to be part of the Centennial in order to better understand President Reagan, not only in historical context, but his relevance and significance in our world and in their lives still today. Many of these initiatives were only possible thanks to key partnerships. We were honored that General Electric chose to become part of the Centennial Celebration as the presenting sponsor, and other collaborations were established with universities and American corporations, such as Edison International, Jelly Belly Candy Company, Visa, and others. In addition, governments and groups around the world have independently chosen to celebrate the President’s legacy, with significant events taking place in the United Kingdom, Poland, Germany, Hungary, and the Czech Republic, among others. Proclamations and commemorative letters have been received from governors and mayors across the country, as well as international recognition from world leaders such as Prince Albert of Monaco and the former Prime Minister of Japan, Yasuhiro Nakasone. 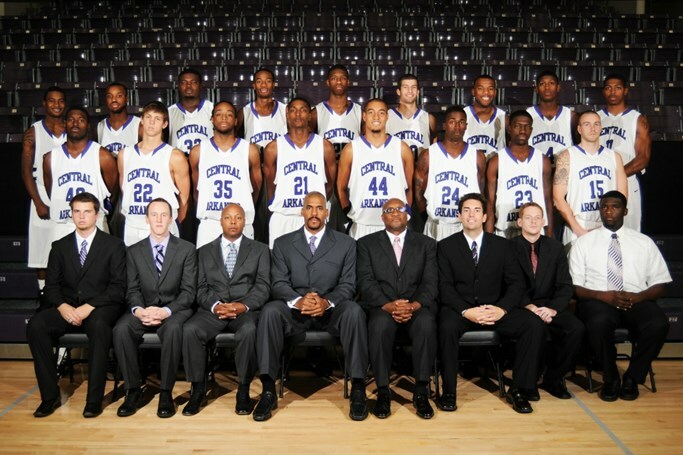 I am hoping to go see UCA boys basketball team play this Saturday. I sat with them on a plane from Dallas to Little Rock this morning. I asked how they did in their game and they said not too good. Coach Williamson was wearing sweats and I told him that it may have helped if he got on the floor. He said that would have felt good. In the next few days I will post portions of the speech (which really was just a newspaper article) but since it is so long I will put an outline of the speech that is provided by David Barton of Wallbuilders. As a young man, Washington was confronted by death many times. He suffered and survived dreadful diseases like malaria, smallpox, pleurisy and dysentery. He nearly drowned when he accidentally fell of the raft into the icy river while returning from an expedition to the French Fort le Boeuf. In 1775, bullets grazed his coat, but he was unhurt. President Reagan sharing a joke with William F. Buckley at a private birthday party in honor of his 75th Birthday in the White House residence. 2/7/86 . My sons Hunter and Wilson will be joining our friend Sherwood Haisty who is involved in a street ministry in Santa Monica, California the week of March 21 and during that week they hope to visit the Reagan Library. I hope to have a lot of pictures from them for me to post. 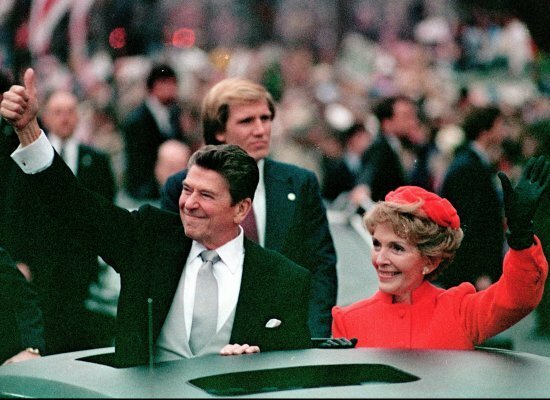 This “Centennial Celebration” kicked off on January 1st with a Ronald Reagan-themed float in the Tournament of Roses Parade, the first time in the 122-year history of this great American tradition that the parade has had a presidential-themed float. On the weekend of the President’s birthday, a blend of military ceremony and patriotic celebration took place over three days at the Reagan Library. Throughout the year, there will be a series of academic partnerships with the University of Southern California, the University of Notre Dame, the University of Virginia, and the U.S. Naval Academy, each focusing on a different component of the President’s life, leadership, and legacy. These events and many more will take place not only across the country, but around the world throughout 2011. When the going gets tough then the tough get going. You will notice that governor Pawlenty had to deal with a lot of liberals in his state. Did he lie down and let them bankrupt the state or did he fight for budget cuts. The answer is that he fought for the budget cuts. I am at a hardware store convention in Orlando and I heard a crazy store yesterday about the California State Government. Everybody knows that they are not even close to balancing their state budget there. What does the state government do? They don’t budget cut until they have balanced the budget, but they try to rip off out of state companies that do business in California. A good friend of mine told me that a hardware distributor of his that carries over 100 different size containers of the cleaner that he sells them, hit his company with a fine of over $1500.0o for not having the correct California Registration number on the paper work for one of the 100 items that was being shipped into California. This is highway robbery, but such is justified if you want to do business in California. No wonder so many businesses are leaving California. President Reagan talking to Jimmy Stewart and Gloria Stewart at a private birthday party in honor of his 75th Birthday in the White House residence. 2/7/86. I am in Orlando at a hardware store convention. The distributor I sell has stores all across the country. Above you will notice a picture of Jimmy Stewart. Stewart’s father Alex owned a hardware store in Indiana, PA. For his work in The Philadelphia Story, Stewart won the 1940 Academy Award for Best Actor. On the night of his win, the story goes, after a swirl of post-Oscar parties, the actor took a call from his dad, who wanted to confirm that his only son had won “some kind of prize.” “I heard about it on the radio,” Alex said. “Yeah, Dad,” his son replied. “It’s a Best Actor Award. They give ’em out every year. I won it for The Philadelphia Story.” “What kind of prize is it?” “It’s a kind of statuette. Looks like gold but isn’t. They call it the Oscar.” “Well, that’s fine, I guess. You’d better send it over. I’ll put it on show in the store where folks can take a look at it.” It remained there for the rest of Alex’s life. Ronald Reagan did not enter the world of politics until the age of 50 years old, and his first campaign was for governor of California in 1966. He was wildly popular in his home state and on election day emerged triumphant over Democrat Edmund “Pat” Brown by a margin of nearly one million votes. Planning for and celebrating the Centennial of the 40th President of the United States – Ronald Reagan – has been many months in the making and involved a complex vision, plan, and collaboration well beyond our home base of the Ronald Reagan Presidential Foundation in Simi Valley, California. February 6, 2011 marked what would have been the 100th birthday of Ronald Reagan. Ten times since 1950, the Congress of the United States has urged a special emphasis on a significant birthday of a former president or first lady (centennial, bicentennial, sesquicentennial). In 2009, Congress passed, and President Obama signed into law, the creation of a bi-partisan commission to encourage the national celebration of President Reagan’s Centennial. As President Reagan would have wanted, not a single federal dollar was appropriated for the execution of these activities. The Ronald Reagan Presidential Foundation has raised private funds, secured collaborative partnerships, and conceptualized plans for a national and international celebration with a balance of celebratory events and substantive initiatives. 1980 interview with Milton Friedman by Phil Donahue (part 5). Friedman greatly influenced me and as a result was a very involved in 1980 campaigning for Reagan. Milton Friedman’s film series “Free to Choose” Episode on Education part 4. It was Friedman’s voucher plan that was put into practice in Sweden in 1993. I am in Florida at a convention center and I got to talking to someone and found out that he graduated at Central in Little Rock in 1977 and he played on the state championship football team in 1975 with Houston Nutt. Actually he told me that Houston was not the only player off that team that played college ball. Robert Farrell (wide receiver, Arkansas), Emmanuel Tolbert (running back, SMU), and Reggie Perry (running back, ?). Are kids getting a good education today versus 30 years ago? One thing is for sure and that is liberals still oppose competition that the voucher system would bring. DL: Have students in Sweden improved academically under the voucher system? TI: The educational results data speak for themselves. On average, the independent schools show better student achievement than the public schools. Let me just give you a few examples from some very clear indicators. The average “merit value” is actually an average of the grade points (each grade gives a certain amount of points) for all students in all subjects in the ninth grade. This means that every single student has his/her own merit value, but that the average merit value is calculated based on all students that particular year in that particular class, school, city/municipality, country, etc. By the summer of 2008 (the most current information available), the merit value average of the whole compulsory school in Sweden was 209 points (with a maximum possible value of 320, indicating highest grades in all subjects). The public schools averaged 207 points, while the independent schools proved to have 227 points! This significant difference has been in place for many years. In the last years, with an increased competition from a steadily increasing amount of independent schools, the total merit value average of the whole compulsory school actually has begun to rise. In upper secondary education, the pattern is about the same. Another way of measuring results is to adjust for socio-economic factors and look at what could be an expected outcome of learning regarding the students’ background. This is called “SALSA value,” a Swedish acronym for The National Board of Education Analysis Tool for Local Correlation Analyses. There is no national summarizing of SALSAs, but if you look into the single cities and municipalities, you often find independent schools getting the best SALSA results. This means that many independent schools educate their students better than expected if students’ socio-economic background is taken into consideration. If you want to adjust for possible “grade inflation,” you can just look at the results of the national tests that are being carried out for the key subjects of the curriculum and in exactly the same manner all over Sweden in both public and independent schools. The rate of students reaching the two highest grade levels in all key subjects are at least 10 percent higher for independent schools compared to public schools. I am in Central Florida and today was the liftoff for the space shuttle Discovery from Kennedy Space Center in Cape Canaveral. I learned when I went to rent a car a couple of days ago that most of the people that rented cars a few days ago for the Daytona 500 did not return them because of the upcoming Discovery takeoff. It is sad to me that our government does not have much money because of the wasteful stimulus law and other sad attempts to buy ourselves out of this recession. Now programs like our space program will suffer because of all these ploys by the Democrats. Pawlenty is right when he says our federal government has got way too big. President Reagan with Nancy Reagan, William Wilson, Betty Wilson, Walter Annenberg, Leonore Annenberg, Earle Jorgensen, Marion Jorgensen, Harriet Deutsch and Armand Deutschat at a private birthday party in honor of President Reagan’s 75th Birthday in the White House Residence. 2/7/86. Milton Friedman’s book “Free to Choose” did influence me a lot during the days leading up to the Reagan presidency. Take a look at his interview with Phil Donahue below. 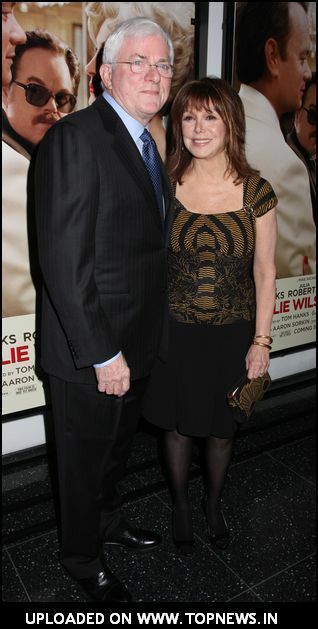 Did you know that Phil Donahue is married to the daughter of Danny Thomas. Marlo is in charge of raising funds for her father’s hospital in Memphis. I am going to post portions of this article by Ronald Reagan the next few days. The other day I told a story about flying on Southwest Airlines from Little Rock to Florida by way of St. Louis and I ridiculed them for sending me the wrong way at first. I wanted to make it known that I really do like flying with Southwest and they do a great job. In fact, I flew one time on the same plane with the famous Democratic Senator from Illinois. No it was not the future President Obama but Paul Simon. The lady next to me said, “I know that guy. He is famous.” I told her it was Paul Simon and she thought it was the singer. Then she asked me if it was the writer of TV Shows (Neil Simon), but I finally told her it was the Senator with the bow tie. Senator Simon got a kick out of the story when I relayed it to him while getting off the plane later. We are a great nation because we have been the most free nation of all time according to Tim Pawlenty in his speech as seen above. The heavy hand of government that President Obama endorses. Also no one should be forced to send their child to a bad school. I have spent lots of time on that with all my articles on Vouchers.